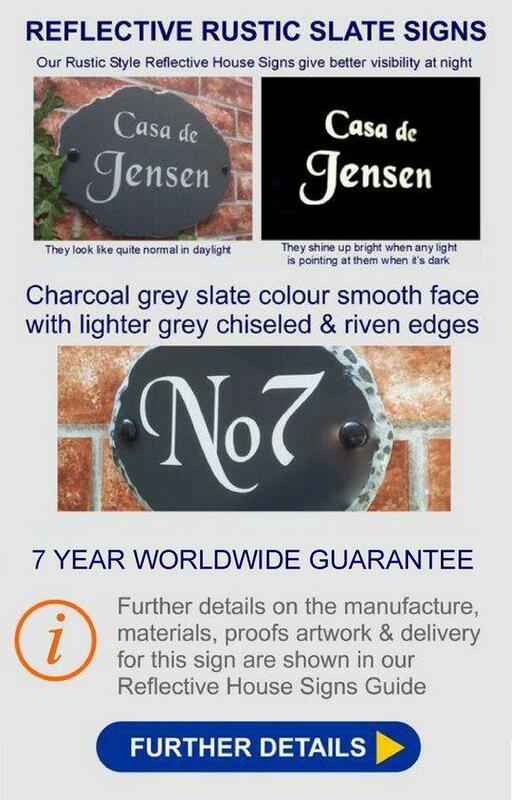 This oval rustic house plaque has a charcoal grey polished face and lighter grey chiselled edges. 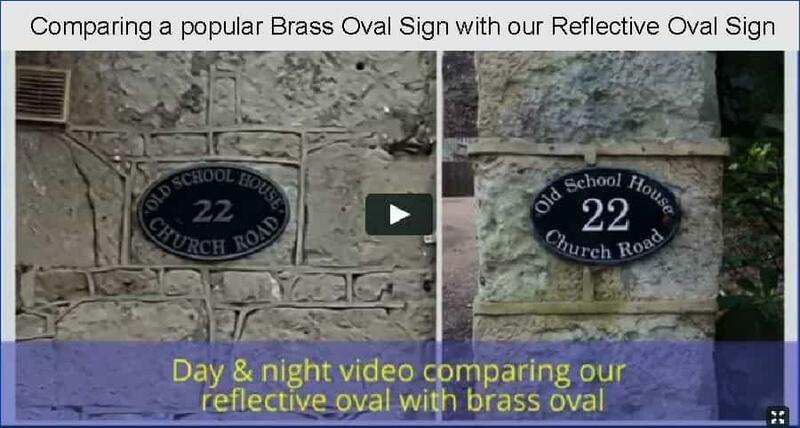 Night reflective text can be positioned arching across the top and the bottom of the sign or alternatively in straight lines of text. It has arrived safely and on time. Beautifully packed and it looks great - thanks very much. I'll have to see if it brings any more night time visitors, who previously would not have found me!. 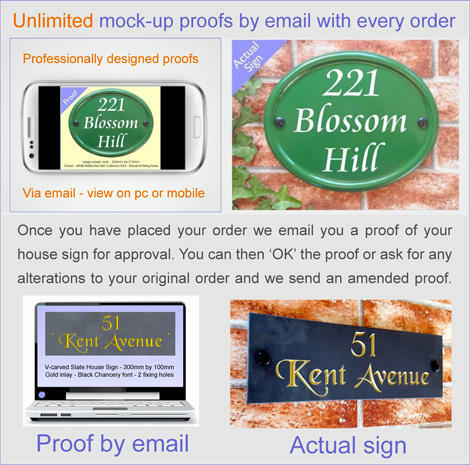 Good morning, just had to let you know that the house sign i ordered has arrived and it is absolutely perfect, i love it, I would like to thank your company for their friendly approach and keeping us informed about its delivery, i would recommend you to anyone. Once again thank-you. 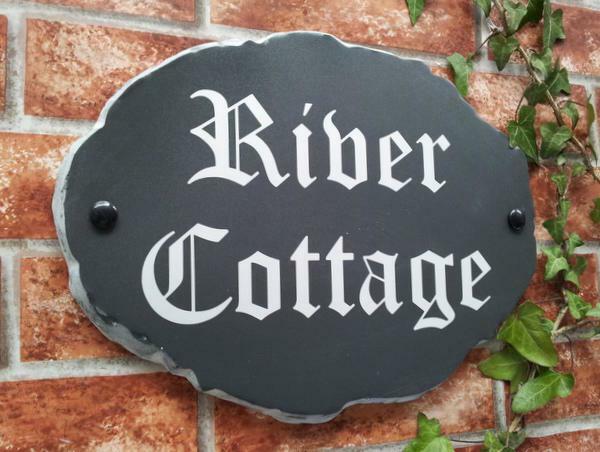 I just wanted to say thank you for my lovely house sign. It looks great, I'm really pleased with it :) Thank you. 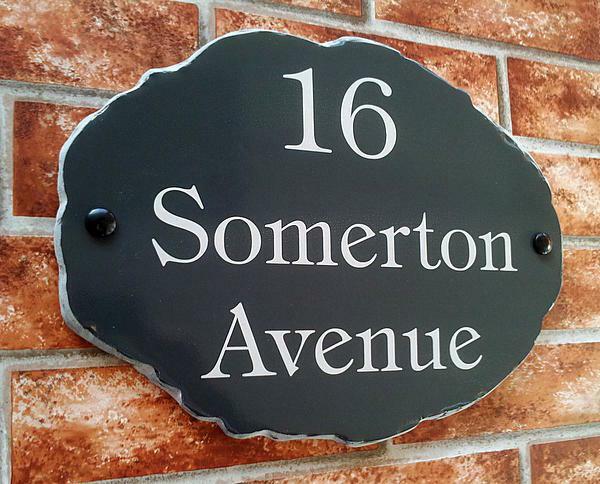 Received the sign with thanks, already mounted on gateway wall and looking good. Thanks. 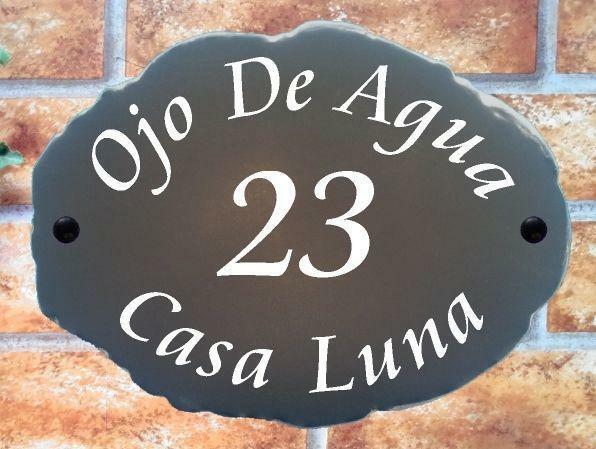 Hi I've received the sign and am very pleased with it. Thank you. Thank you Gerry, plaque received yesterday, looks good. 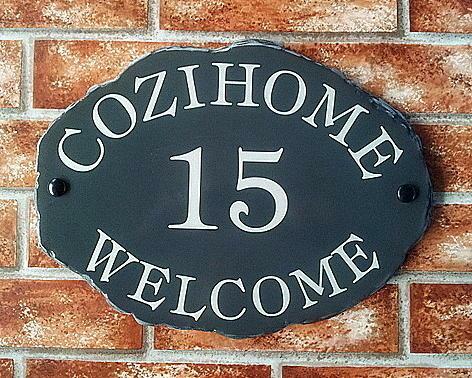 Thank you very much for the house sign (The Cottage, 15b). It is great.